Hi, my name is Hadassa Abrahams. I was born and raised in an Ultra Orthodox Jewish community in Passaic, New Jersey. During high school, I slowly started drifting away from Judaism. As I had never been exposed to the “outside” culture, music, movies, etc., I was always curious to know what it was like to live in a secular way. By the time I turned 18, I was almost completely disconnected from my Jewish roots. I moved to Dallas, Texas, and I decided to see what American culture was like. To make a long story short, my three years in Texas was an interesting journey full of ups and downs. On one hand, I loved the freedom that I had outside Judaism, but on the other, it was a very hard adjusting to living a secular life around hardly any Jewish people. Fast forward three years and I feel like I have really grown up and become the person I wanted to be five years ago. Putting that aside, there was one part missing. I felt like there was a lot about being Jewish that really didn’t add up for me up or made sense. I have always been a thinker and that has always made me the kid with the questions. Unfortunately, the schooling system I was sent to wasn’t equipped to answer these questions. I was mocked or punished for having the questions in the first place. 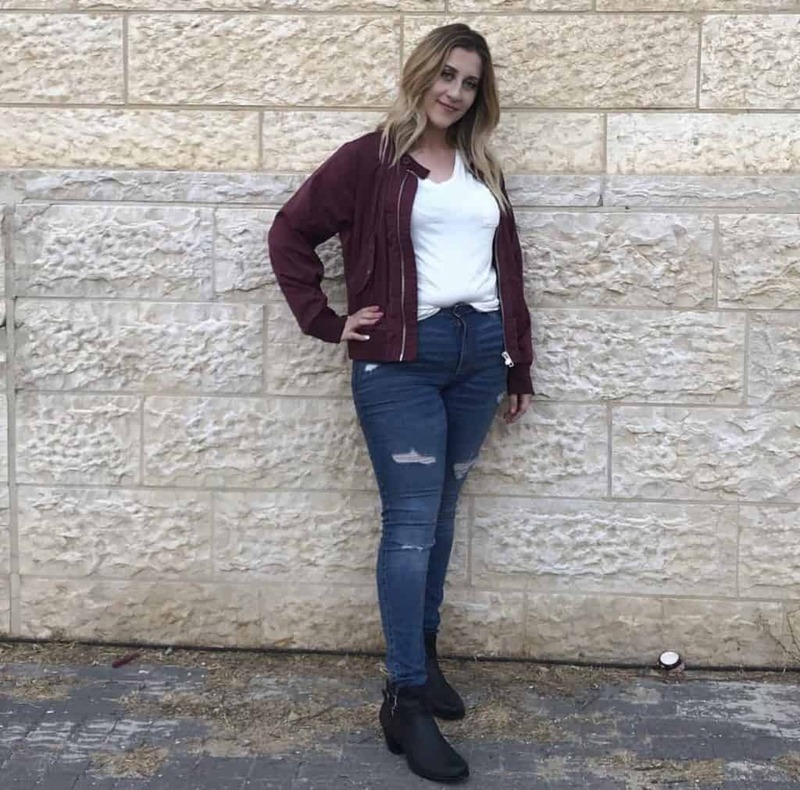 I came to Israel this year as I have just turned 21. Each year I get closer to having my own family and being able to raise my own kids. But how can I do that when I still have so much to learn? I came to Aardvark with an open mind to learn as much as I can. Before I arrived, I wasn’t sure I would even feel any connection to Judaism. But thankfully God put me in the right place, with the right people, in the land I hope to soon call my home. I am so lucky because I am with such incredible people on this program. The past month and a half has been about building relationships with my peers, my teachers, and especially my madrichim. Every day I grow closer to everyone and it is crazy to think that the best education I can get outside of classes is from my peers. We have girls and guys from all over, leaving their lives at home to come to Israel to learn and to grow and to experience this year together as a group. The madrichim have also given up a lot to come and guide us through this crazy thing we call a “Gap Year”. The highlight of this program for me is the classes. Learning Hebrew and about Zionism is a huge goal for me in Israel. Being able to speak the language and understand the culture/politics will help me when I make Aliyah. My favorite classes are ‘Jewish Philosophy of Today’ and ‘Judaism Confronts the Modern World’ taught by Rabbi Josh Gerstein. I feel like for the first time in my life I am getting the answers to all the questions I have. In these classes, our teachers encourage class discussions and I am constantly being blown away by explanations and facts that really make me connect with being Jewish. Another important part of Aardvark is the Volunteering/Internships. This year I have the opportunity to intern with The Lone Soldier Centre here in Jerusalem. The Lone Solder Centre is a Non-Profit Organization that assists IDF soldiers who come from all over the world to serve without the support of their family living locally. Having the privilege to work with them is surreal because not only have they been such a huge part of many of my friends’ lives, but also with my goal to make Aaliyah and join the IDF, it’s a great way to learn everything I will need and to meet other lone soldiers. The staff here at Aardvark do everything they can so that we can have experiences that will change the whole world for us! They make me feel so comfortable with my decision to make Aliyah and to come to live here and join the IDF. Thank God for this opportunity and my parents for sending me to Aardvark. I know I will not leave here the same as I arrived and I look forward to discovering what other amazing opportunities will come my way!